That's the biggest pancake ever. She could almost use it as a blanket. They're all like that. 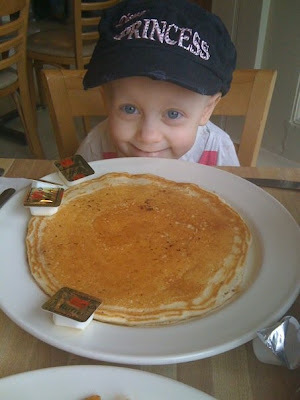 I had the blueberry pancakes a day or two later and I could have used it as a place mat.